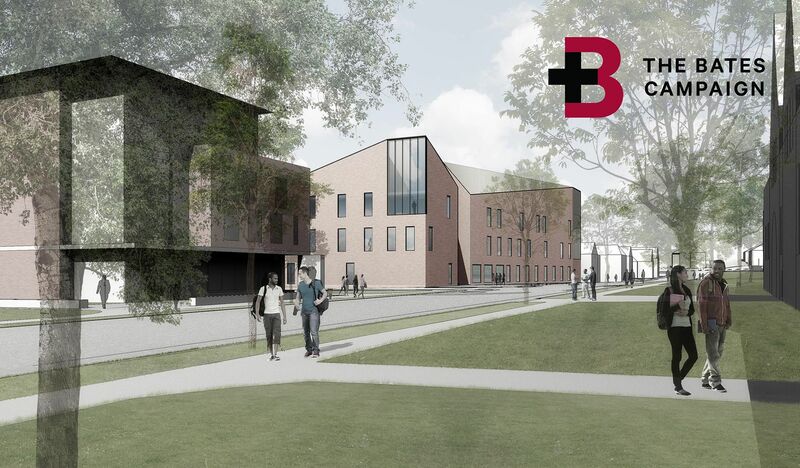 Bates College will break ground in 2019 on a new science building that promises to drive the evolution of science education at the college, embrace advanced technologies, and accelerate faculty collaborations across various fields that epitomize 21st-century science research. Located at 45 Campus Avenue, the new science building will gather in one location faculty and programs in biology, chemistry, and neuroscience that share research interests and laboratory needs. A three-story structure of approximately 65,000 square feet, the building will offer versatile teaching and research spaces, advanced instrumentation rooms, and areas designed to promote study and interaction. What It Houses: Faculty and programs in biology, chemistry, and neuroscience with shared research interests and common laboratory needs. What It Does: Delivers innovative support for science teaching and research in the 21st century; encourages faculty engagement across traditional disciplines; provides flexible space that anticipates future needs; offers versatile teaching, research, and study spaces; and builds community among students focusing on science. Eye-catching Feature: Called “the beacon,” a signature expanse of glass faces the Historic Quad. The building’s program and design have been developed by the faculty and staff STEM Facilities Planning Committee working in partnership with Payette, a nationally acclaimed architecture firm. Specializing in buildings for healthcare, health sciences, and academic sciences, Payette has designed recent buildings at Princeton and Duke universities and the Massachusetts Institute of Technology. The construction manager will be Consigli Construction Co., whose Bates projects include the dining Commons (2008) and two student residences on Campus Avenue, Chu Hall and Kalperis Hall (2016). “Bates faculty and staff have made significant contributions of their time, insights, and creativity to this project,” says Kathryn Graff Low, interim vice president for academic affairs and dean of the faculty. The new science building’s program and design have been developed by the faculty and staff STEM Facilities Planning Committee working in partnership with Payette. Scheduled for opening in 2021, the science building is a centerpiece of The Bates Campaign, whose goals include both this new facility and the modernization of existing STEM structures to optimize teaching and research. Anchoring these efforts is a $50 million gift from the family foundation of Alison Grott Bonney ’80 and Michael Bonney ’80, who is chair of the Bates Board of Trustees and CEO and chair of Kaleido Biosciences. 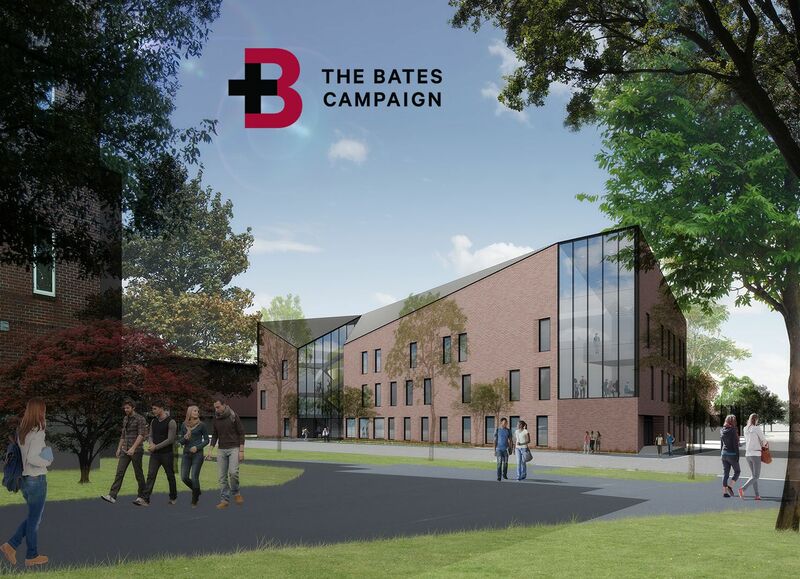 Announced publicly one year ago, The Bates Campaign is the most ambitious fundraising effort in the college’s history and now totals $186 million in gifts and pledges toward a $300 million goal. Michael Bonney ’80 is chair of the Bates Board of Trustees, CEO of Kaleido Biosciences, and a major donor to the new science building and STEM facilities initiative through his family foundation. The current project promises to deepen Bates’ tradition of exposing students from all backgrounds to first-class experiences in the sciences, including working side-by-side with faculty, from the moment they arrive. It is the first step in a comprehensive reconfiguration of Bates science facilities that will notably include Carnegie Science Hall and Dana Chemistry Hall. Overall, the work on Bates STEM facilities will touch nearly 174,000 square feet altogether, making it easily the largest academic undertaking, in terms of facilities, in Bates history. This work will be guided by a review, conducted in 2016 under the direction of Payette, of the college’s STEM facilities. 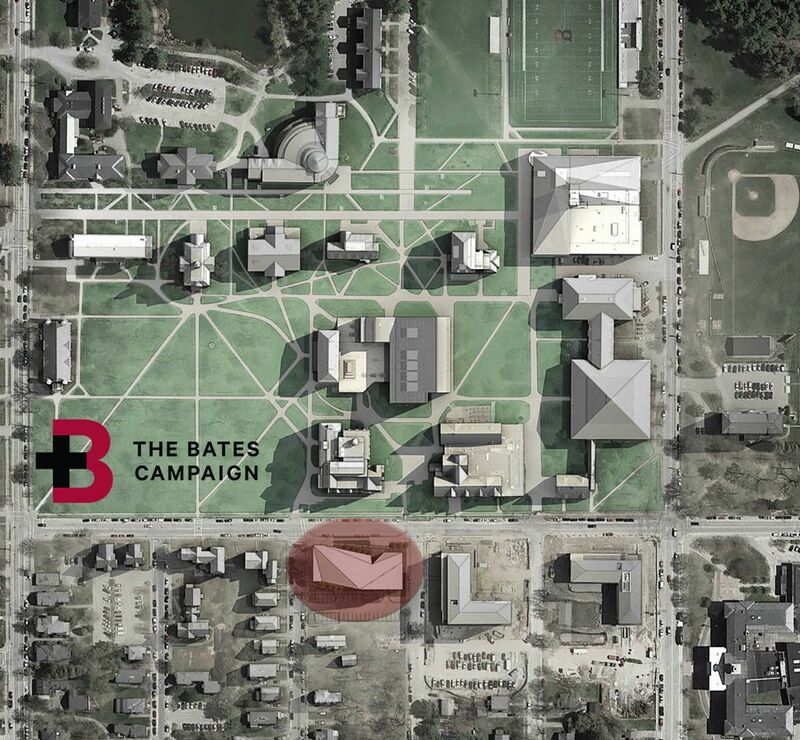 The review yielded a comprehensive plan that will guide the planning and construction of both the new science building as well as modernization of other STEM facilities at Bates. As existing programs move to the new building, spaces in Carnegie Science and Dana Chemistry will be repurposed and improved to create a stronger and more intentional alignment of STEM facilities at the college. Shown here shaded, the new science building will be an integral part of the newly established and dynamic center of college life on the south side of campus. Dana Chemistry Hall, built in 1965, will be repurposed to focus on science teaching in order to effectively welcome new students to STEM fields. The building will also be equipped with new, flexible classrooms for teaching across all disciplines. Carnegie Science Hall, built in 1913 and expanded in 1961 and 1990, will receive programmatic updates to better support faculty and programs in concomitant STEM fields, such as physics, and also undergo upgrades to mechanical and electrical systems. Bavis points to Bates biologists and chemists who do similar research, chemists who do neuroscience, and vice-versa. “We’re going to see more interaction, and the interactions that already happen will be that much easier.” Some of that interaction will occur in the building’s instrumentation rooms, which will house cutting-edge equipment like quantitative PCR machines, which scientists use to make multiple copies of DNA segments for their research. “There’s dedicated space not only for research to happen but also to build cohorts among students that are focusing on science,” says Bob Schaeffner, who is a principal of the project architect Payette. “Having a sense of home, a sense of being welcomed and included, will be a huge benefit for the students,” says Bavis. “It also gives us the opportunity to design space such that it’s easy for students to go from studying in a group to seeking out a faculty member who’s nearby,” as opposed to a student having to leave the college’s Ladd Library, for example, to find faculty in another building. Students in any discipline will be welcome at 45 Campus Avenue. On the first floor, near the main entrance, is the building’s living room, a come-one, come-all casual space. 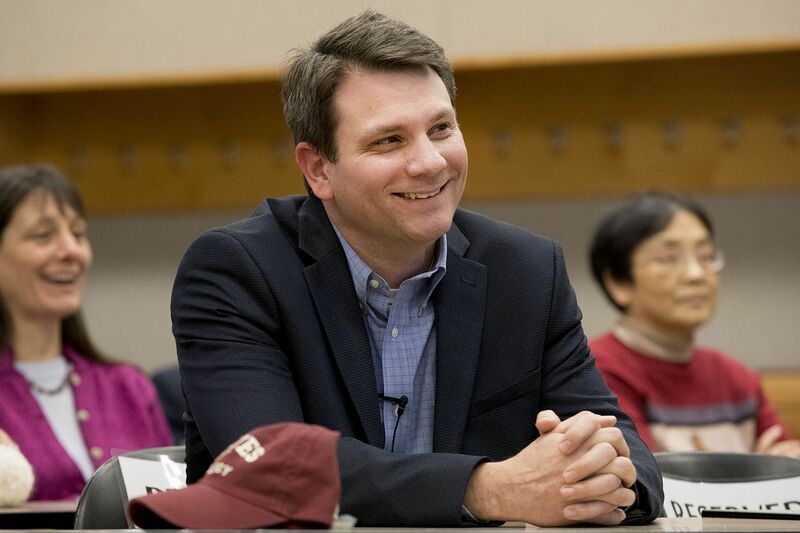 “The idea is that anyone on this side of campus would find it attractive to go there to study,” Schaeffner says. Even the “circulation system” within the building will support community, with a grand staircase and single-corridor floor plan keeping occupants in a common traffic stream. In its design and siting, the building will catch the eye from key campus perspectives and will harmonize traditional Bates aesthetics with a striking contemporary appeal. At the northwest corner of the building, facing the Historic Quad, is a signature expanse of glass, behind which students can enjoy a two-story lounge with variety of study spaces. At night, this will create a welcoming “beacon” along the fast-developing south border of the Bates campus. All told, the interior design represents a distinctive and seamless melding of casual and formal academic spaces that typify the Bates academic ethos and are designed to nurture community both within and beyond Bates’ science programs.